PuroClean offers 24 hour water damage services for our water and flood damage restoration, mold remediation as well as other excellent services! Twenty-two out of every one-thousand households will experience a water damage loss each year. Excess moisture not only damages your property, it also creates the perfect environment for mold to develop. The most effective way to protect your property from water damage and the threat of mold is to have it dried as quickly as possible. Water Damage Mitigation and Restoration Services: If your home or business has been affected by water damage or flooding, trust PuroClean Home Rescue to respond immediately and fully assess the situation, accurately restore your property and return your home or business to pre-loss condition. Our certified professional technicians have been providing both residential and commercial water damage restoration and flood restoration services for many years in your local area. PuroClean Home Rescue water damage technicians employ the Science of Psychrometrics to ensure that the area is dried completely and the threat of mold and pathogen growth is eliminated. With state-of-the-art equipment and the Puroclean QuickDry System, Puroclean offices reduce the time it takes to dry most structures to 3-4 days or less and minimize the inconvenience to its customers. We will do whatever it takes. We understand that a property disaster is disruptive and emotionally unsettling. That is why we will do everything possible so that you regain your sense of security. With a personalized approach, our technicians demonstrate a high level of compassion and are professionally trained in the latest water restoration technology, techniques, and procedures. And because we specialize in all aspects of property damage mitigation, we will do whatever it takes to get your life back in order. Winter can be the most sever season for in air quality for a variety of reasons including people using their furnaces, people not ventilating their homes due to the outside weather and elevated mold levels in the home. Always have a professional mitigation company handy when those indoor home air quality levels drop below safe levels and mold removal is required. 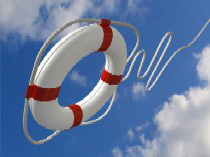 It's good to take appropriate precautions to safeguard yourself and your loved ones from water associated dangers. These uncomplicated guidelines will help reduce the effects of the water-related dangers, guaranteeing a safe and secure process of recovery. Category 3 black water examples include: all sewage backflows and all rising water from rivers, streams, and broken levees that enter a home. Hurricanes and storms are usually the causes of this type of damage. Flooding levees: Should Sacramento be concerned? 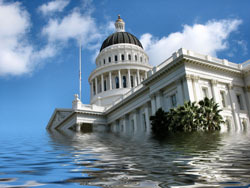 Realizing the possibility of large scale flooding, state and local officials have joined forces, following Governor Arnold Schwarzenegger declared a state of emergency for California's levees in February 2006, to improve Folsom Dam and reinforced already badly weakened levees along the American and Sacramento Rivers. In most homes, the conditions are nearly ideal for mold to grow - there is only one requirement item that is missing - water. If you now add water from a storm, or other source, and you do not remediate quickly and correctly, then mold WILL grow. Home Insurance: Are you covered? Water damage is one of the most common reasons people make claims on their home insurance. Did you know that 22 out of 1000 homes suffer a water damage related loss each year! Burst pipes, leaky appliances and water flooded basements often lead people to discover the details of their home insurance policies. There is a very limited amount of precautions that can be taken by environmental regulators and other local authorities to prevent or inhibit groundwater flooding. It can often be harder to prevent than surface water flooding since it's not a simple matter of constructing flood defenses to inhibit rivers from overflowing their banks. There are some places where groundwater flooding has been dealt with by installing pumps to remove the water and hence lower the water table but these only have a localized effect, furthermore there is still the problem of having somewhere to release the water once removed. Flooding from storms cause a large area of direct contamination and an elevated health risk. All porous and many non-porous materials are affected by the contamination. All contaminated porous items, such as drywall, carpet and pad, upholstery, drapery, and particleboard furniture, must be removed and properly disposed. Professional restoration specialists are just that, specialists. In any water loss, fire loss or mold removal project they concentrate on returning both the dwelling and content to pre-loss condition quickly and cost effectively. Many Contractors who are not restoration professionals are unaware of this phenomenon following a water loss, and move forward with their restoration effort, including the installation of floor coverings. A restoration expert will only continue drying the wet hardwood floor until the moisture content is reduced to within 4% of the dry standard for that floor. From that point on nature will remove the remaining water, albeit slowly. With the appropriate moisture detection tools, a restoration professional will evaluate all surfaces for moisture and treat them accordingly. It will sometimes be necessary to cut open the drywall to allow for proper drying, especially if there is blown insulation inside the wall. The water must be found and removed. When snow accumulates on a roof, a cycle of melting and refreezing occurs. In a perfect world, the snow would melt off the roof, enter the gutters, and flow harmlessly to the ground. However, two key factors can interact to cause problems: the outside air temperature and the temperature of the inside of your attic. When water-related disaster strikes, it "always" seems to happen at the most inappropriate time. Whether it is a broken water pipe, burst hot water heater, sudden storm damage, vandalism, or a fire-Time Is Your Enemy! The actual drying of a crawl space is difficult. Air movement is required, but also poses a small dilemma. If the crawl space is possitively pressurized in relation to the house above, odors and mold can permeate into the living space. Puroclean Home Rescue is locally owned and operated providing 24 hours a day, 7 days a week emergency property damage, mitigation, and restoration services to residential and commercial customers. 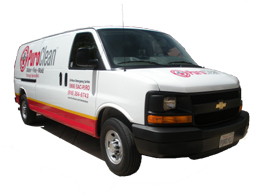 As a Leader in Water Damage Restoration Technology utilizing the Puroclean QuickDry System, Puroclean offers powerful, proven systems, commitment to technical excellence, high quality, and decades of experience. We are IICRC certified and BBB accredited. Regardless of whether its water damage, fire damage or damage from a bad storm, it's perfectly normal for a home owner to want to take instant action. Below is a list of actions you can take to limit the damage and minimize the loss before PuroClean's expert restoration service begins. Safety - Beware of unsafe, damaged structures: falling debris, weak floors, exposed or wet electric wiring or fixtures can all pose threats. Quick Action - Our golden rule: the sooner action is taken, the less damage will occur to your home or business. Water to Mold - If not dried completely and quickly, wet structures and contents will begin to show signs of mold growth. This can occur within 48 hours. Document the Loss - Take photos or videos of all damaged areas and contents to record the loss before you begin the restoration process. We offer the following services: Water Damage , including water removal or extraction | Flood Damage | Sewage Cleanup | Backup | Sewer smell | Crawlspace Flooding | Infrared Inspection | Basement Flooding | Carpet Steam Cleaning | Plumbing leaks dryout | Ceiling Drying| Restoration | Remediation | To the following greater Sacramento cities/areas. : Antelope | Auburn | Carmichael | Citrus Heights | Colfax | Davis | Dixon | El Dorado Hills | Elk Grove | Fairfield | Fair Oaks | Folsom | Forest Hill | Galt | Georgetown | Grass Valley | Ione | Isleton | Jackson | Knights Landing | Lodi | Marysville | Nevada City | Newcastle | North Highlands | Placerville | Rancho Cordova | Rancho Murieta | Rio Linda | Rocklin | Roseville, Sacramento | Sloughhouse | Suisun City | Vacaville | CA.